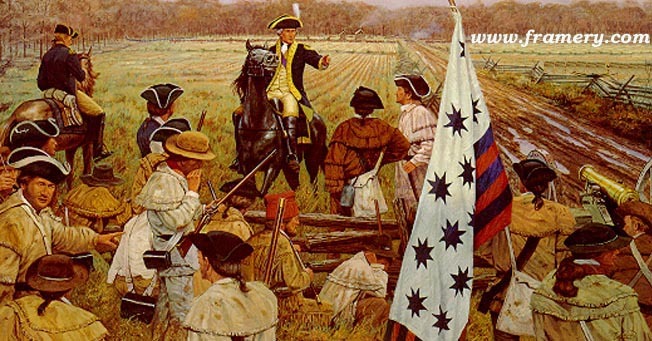 MG Nathanael Greene instructs the N. Car. militia before the Battle of Guilford Courthouse. March 1781.